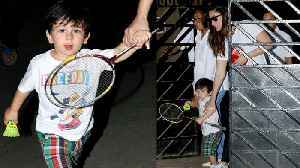 The little sensation, Taimur Ali Khan with actress mommy Kareena Kapoor Khan were snapped while they were heading to play badminton on Monday. 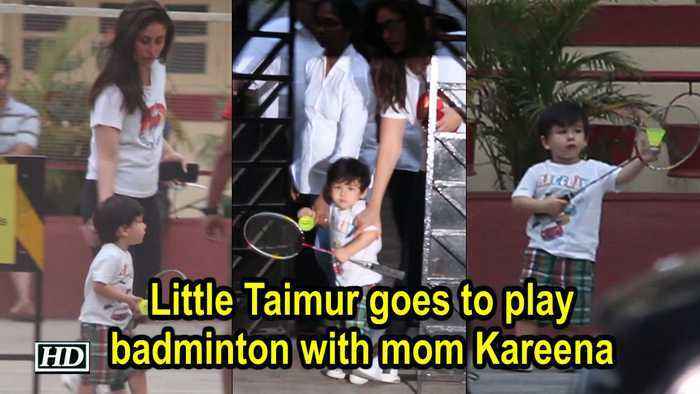 2-year-old #TaimurAliKhan cute video plays Badminton, accompanying him is mom #KareenaKapoorKhan. Watch the video.